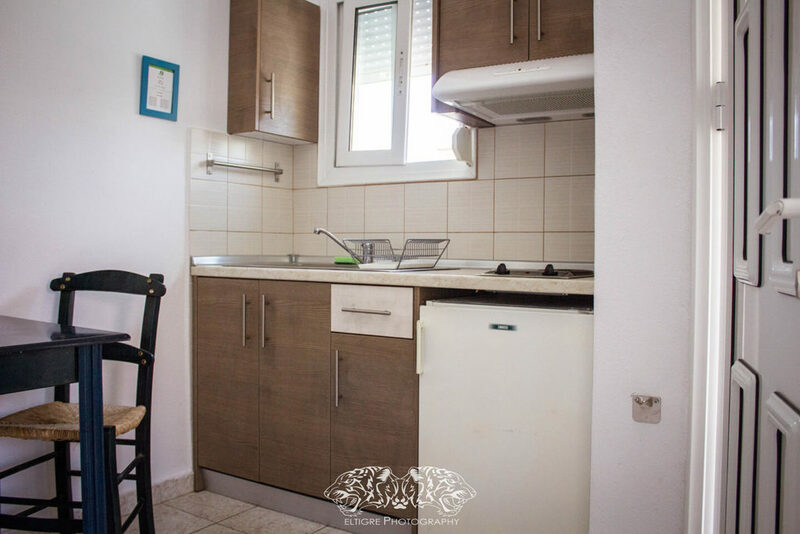 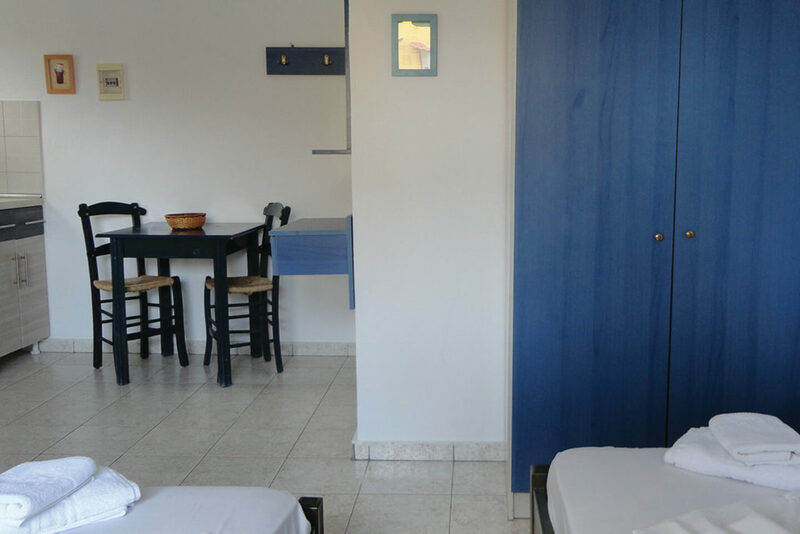 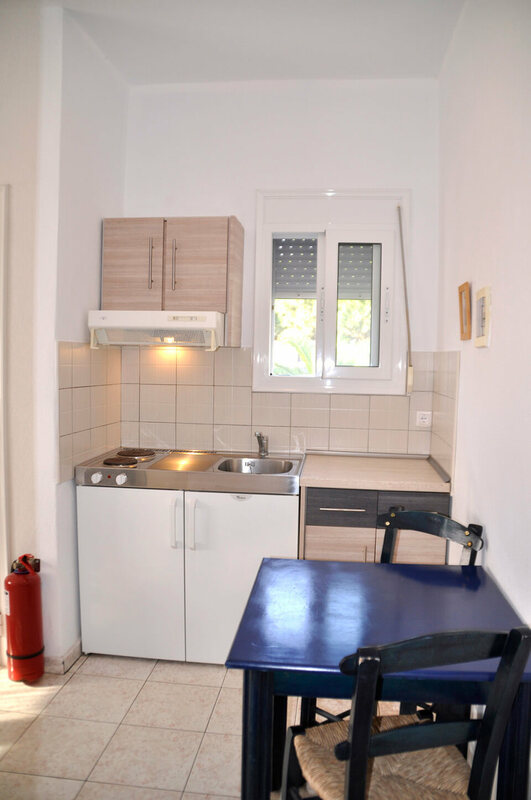 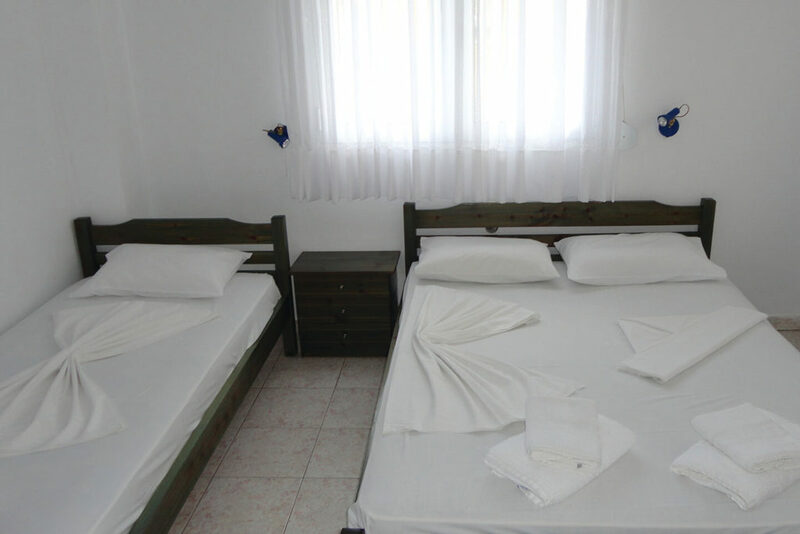 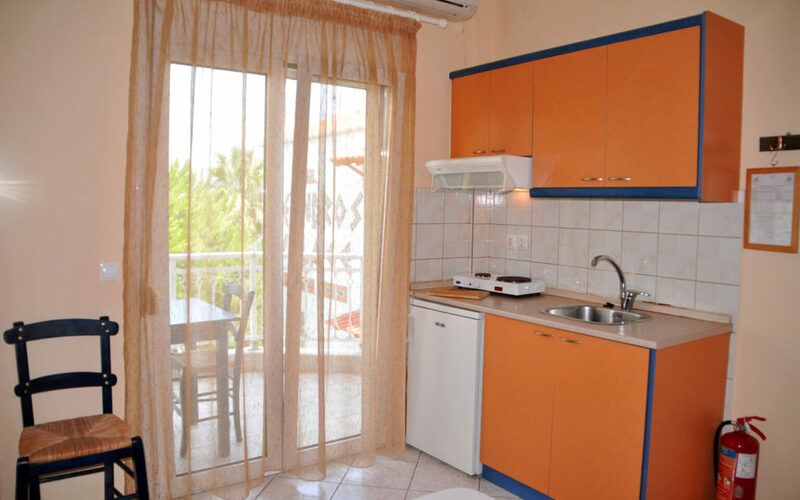 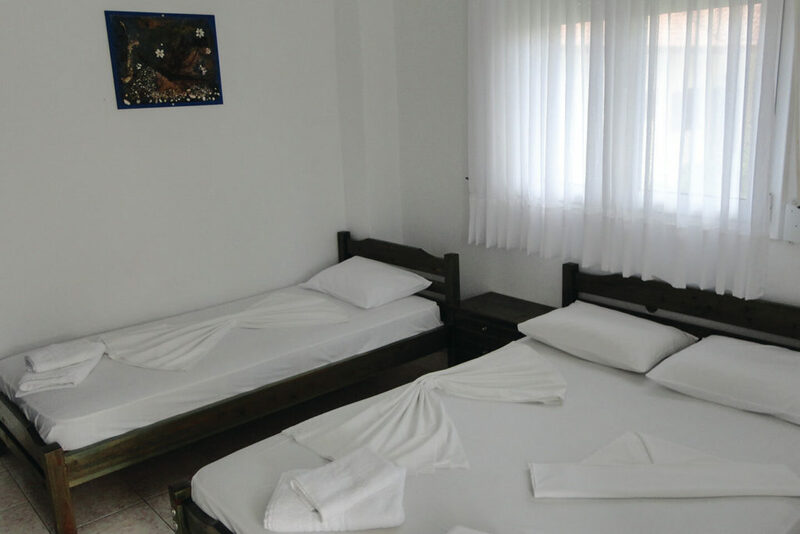 The studios of Meandros Village, that can comfortably accommodate up to 3 persons. 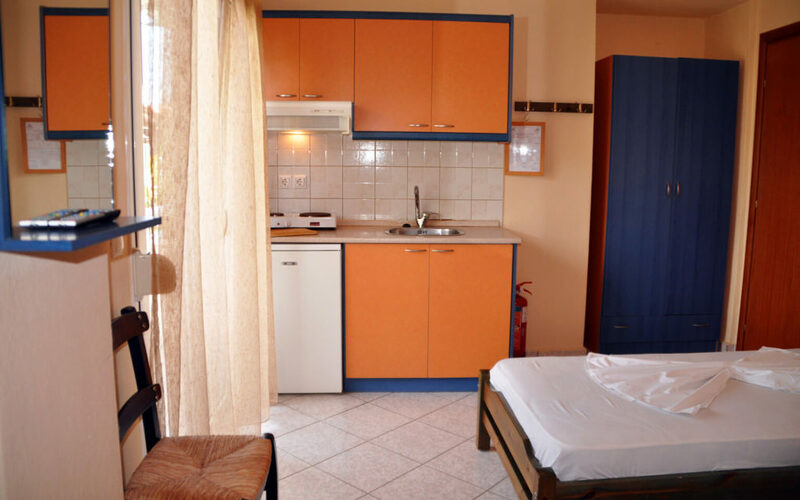 They have a modern decoration and the offer all the necessary amenities of a modern accommodation. 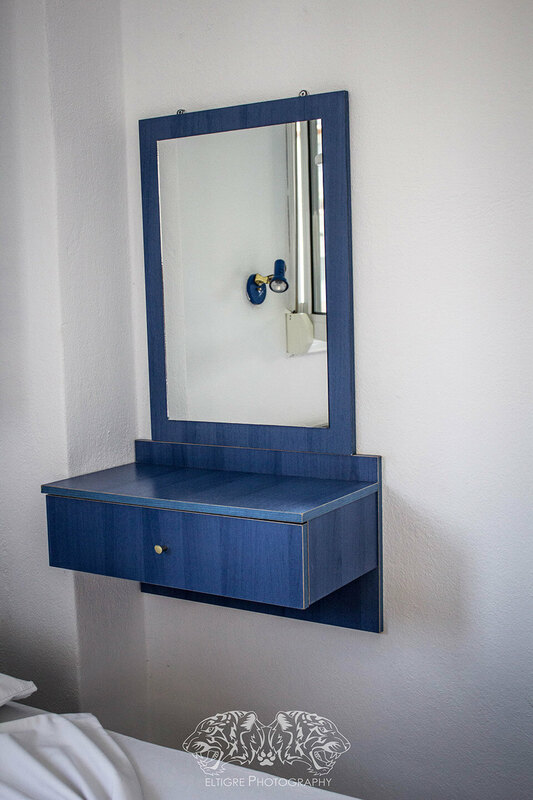 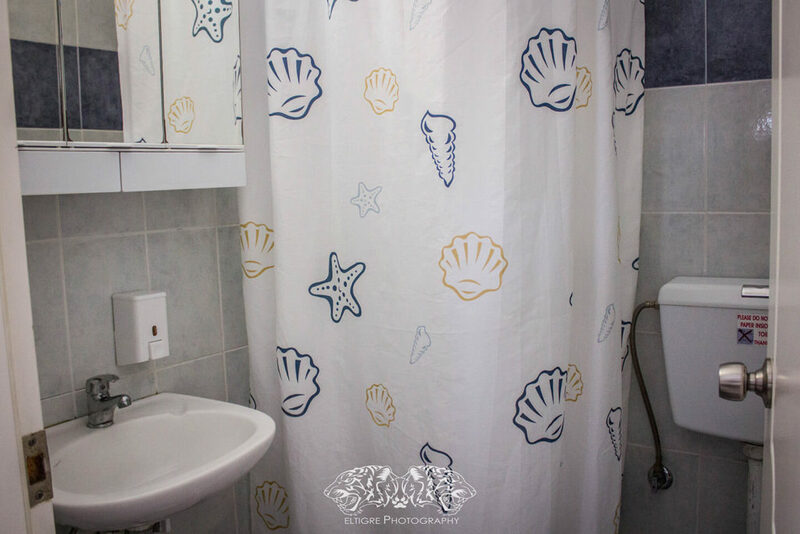 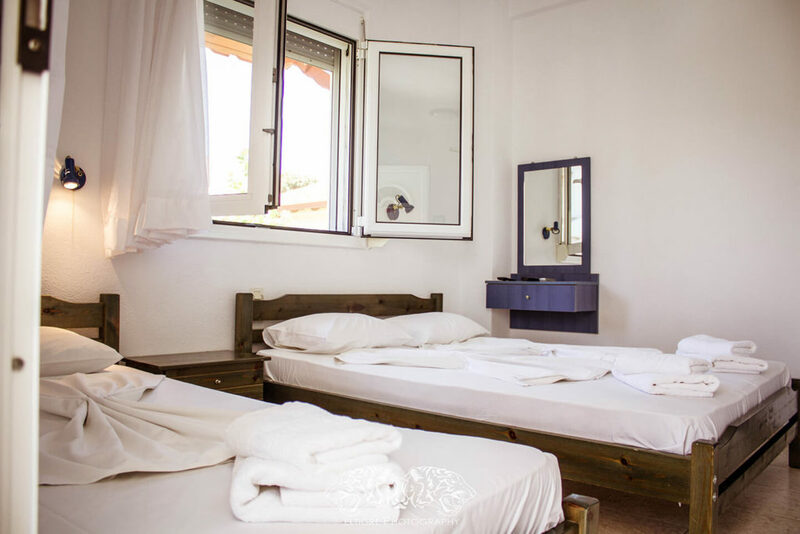 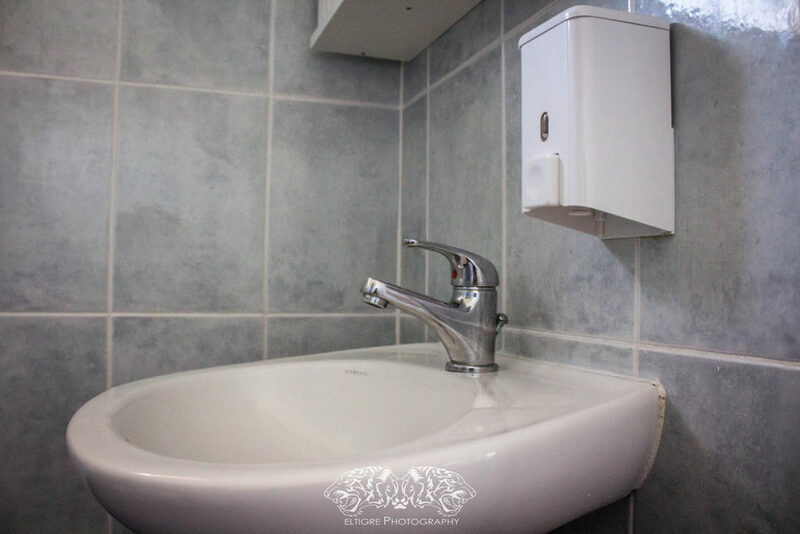 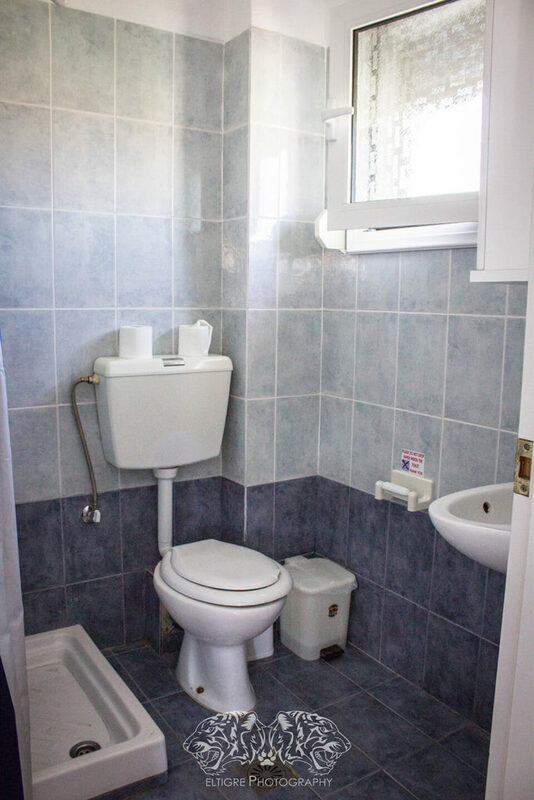 Our studios have satelite TV, air conditioning, single or double beds, fully equipped kitchen, fridge, shower – wc with bath towels and balcony overlooking mountain kerdyllia or in our garden.